Noisy washing machines are being consigned to the scrapheap after LG unveiled its latest innovation for the sector in the shape of the Centum System. The new suspension system, which will be fully revealed at IFA 2015, is designed to improve the reliability and durability of front-load washing machines and LG is confident enough in the technology that it is doubling its standard 10 year warranty to 20 years. At the heart of the new technology is a damping system that uses shock absorbers similar to those found in cars and the fixed tub also cuts down on vibration and noise to a level that means just 67dB is emitted during a spin cycle. That's similar to what LG calls a 'typical conversation'. The cut in moving parts that produces considerably less friction means that LG can offer the higher warranty mentioned above. 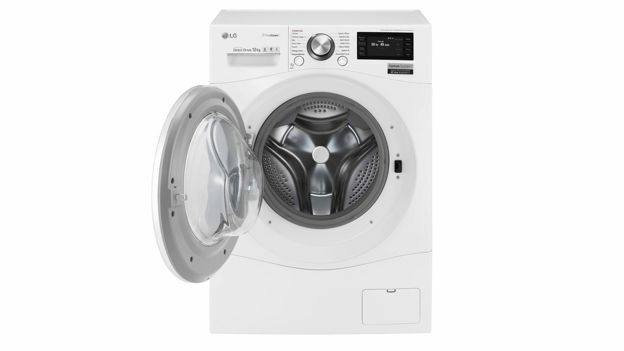 All of the Centum System machines come with LG's revolutionary smart technology that includes Wi-Fi connectivity inside the machines and allows householders to start washing cycles as well as receive washing notification whilst in another room. Another innovation that makes its European debut at IFA 2015 is LG Twin Wash, which allows two washes to be completed simultaneously in the same machine by combining a full-sized front load machine with a mini washer inside a hideaway pedestal. Doing the whites and colours was never so easy. Following their debut at IFA 2015, it's expected that the new machines will go on sale across the continent.